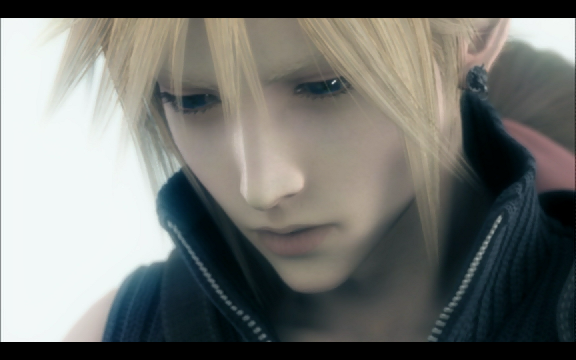 Advent Children is sheer amazement. Forget the typical badly-voice-acted, silly anime/game movies of old. AC by contrast boasts of a beautifully thought out universe with a great cast of characters and an engaging plot. It is understandably a fan-service to FF7 addicts out there, but it does so brilliantly, without ever feeling pointless or empty. Even better, the English lines and voice actors are for once just perfect, capturing the character's spirit without crawling into cheesy fakeness. 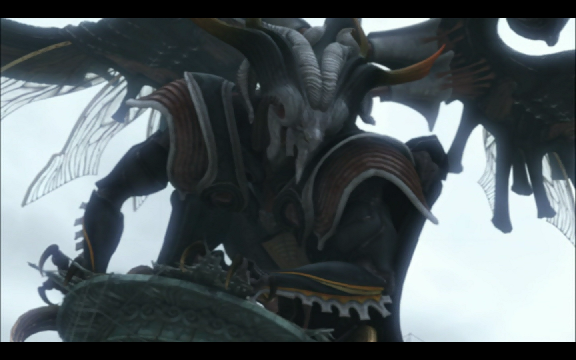 Overall a far improvement from the first Final Fantasy movie across all dimensions. It's interesting why I love FF7's story so much, despite the fact that I only got through a quarter of the PS game. This is probably owed to how deeply complex and well-thought out it is. I think everyone, even non-gamers, can appreciate it and marvel over how intricate, tragic, and original every component of this tale is. Since AC is a direct sequel to the game, I'd recommend that you at least read up on what happened in the game before watching. General synopsis is that there was once a city called Midgar, powered by the corporation Shinra, which utilized the world's "lifestream" as an energy source. Lifestream, as I understand it, is a key component of the planet, and intricately connected to spirits of the deceased. It's like a philosophical version of oil. Shinra did lots of things to mess up the world, not the least of which was sucking up the planet's energy for power. They also conducted genetic experimentation with an extraterrestrial lifeform known as JENOVA, creating super soldiers using her cells. 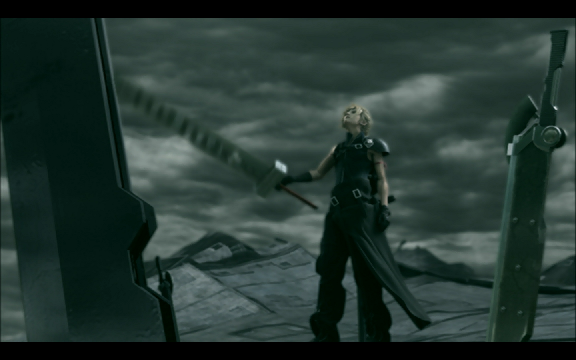 These soldiers include Cloud, our protagonist, and Sephiroth, the primary antagonist. Regardless of how much you know of the underlying story, this movie is gorgeous to watch. It's CGI at its best, creating characters that move and feel just like people, only far prettier and more physically capable. For FF7 fans, I think it perfectly ties together the videogame's ending, allowing a deeper exploration into Cloud's psyche and a beautifully shot final battle with Sephiroth. The story starts 2 years after the end of the game, with a Cloud who's still deeply tortured by his failure to save both Zack and Aerith, and especially the latter from Sephiroth. The few scenes he has with a spiritually-present Aerith are incredibly beautiful yet mournful, showing us his guilt and how even after her death she remains an inseparable part of him. I'll be honest, I'm definitely an Aerith/Cloud shipper, even if I actually liked Tifa in the movie. 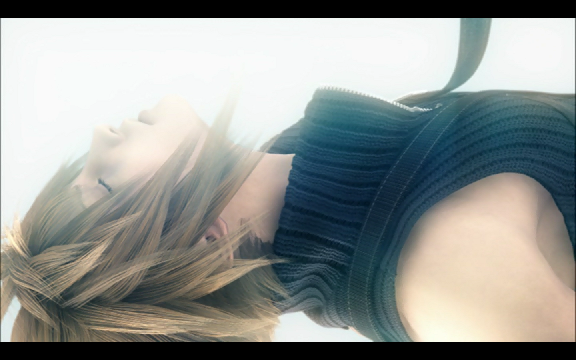 Despite the fact that she died, Aerith will remain Cloud's first and true love, even if he ultimately chooses to move forward with Tifa. Some support for this? 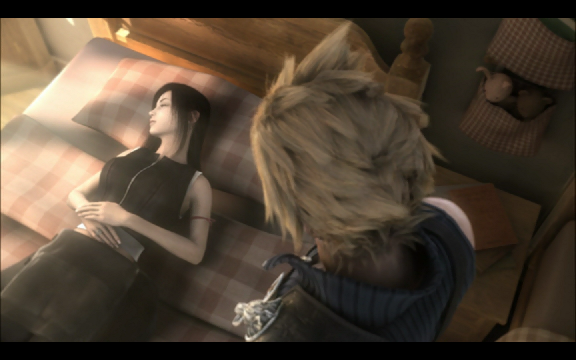 While Tifa is always chasing after or waiting for Cloud, he's generally doing the same to Aerith, even after her death. His thoughts are haunted by her, not merely because of his guilt but because she meant so much to him in life. After all, don't forget the significance of the order in which the team members hoisted Cloud in that fight against Bahamut. Aerith is the final person, coming after Tifa, essentially giving him the last push both mentally and physically to overcome his enemy. 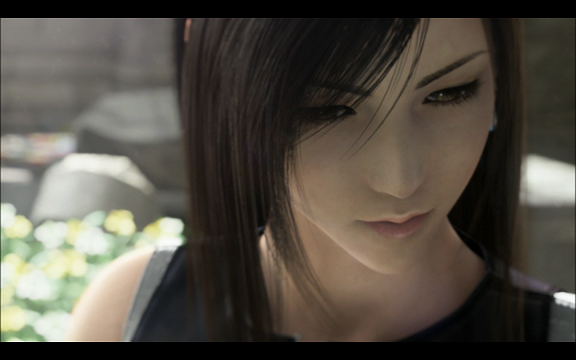 Tifa also voices her jealousy over Aerith when she asks him whether a memory is more important than the two of them. 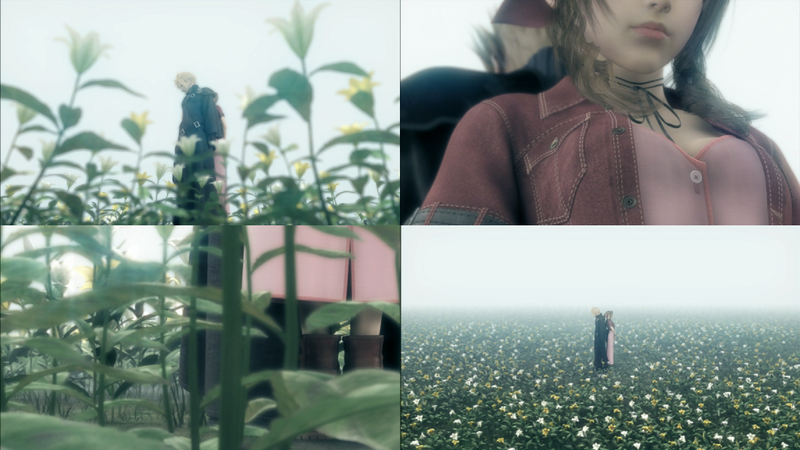 Adding to that are the title scene of Cloud facing the rain, realizing and embracing Aerith's spiritual presence, as well as after his "death," when she returns him to life. There's a bit of an Oedipal connotation with his cry for "mother," but I'll ignore that as crazy Kadaj leaving weird thoughts in the guy's head. And of course, in the final scene when Cloud smiles at the children, Aerith is the one who catches his attention, as she walks out to the light, likely representing the final time he'll see her in his mind's eye. She's telling him to move on with his life, and it is only through her encouragement that he can finally overcome the last 2 years of guilt. 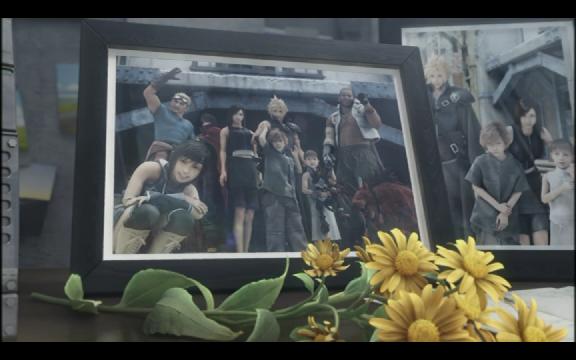 Seriously, paired with the beautiful soundtrack theme "Cloud Smiles," this scene made me cry. It encompasses so much - the bittersweet feelings of forgiveness, separation, love and finally peace. Just breathtaking, with the mighty, serious Cloud actually letting out a smile, small as it is. 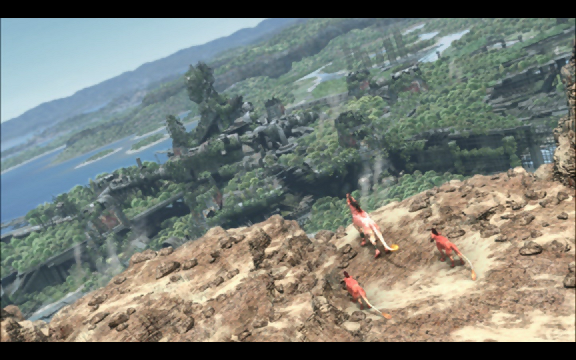 Director Tetsuya Nomura stated that this was the one scene he really wanted to create when he read the movie script - Cloud surrounded by the children, finally showing a smile. Fans of the game will understand just what a hard-earned moment this is. 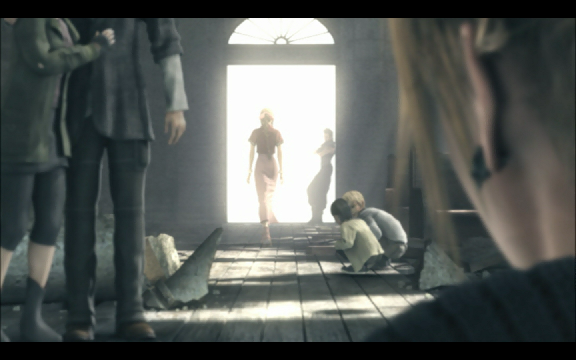 The original plot for AC was meant to involve Cloud receiving a message from Aerith through the children - this significance is preserved here. 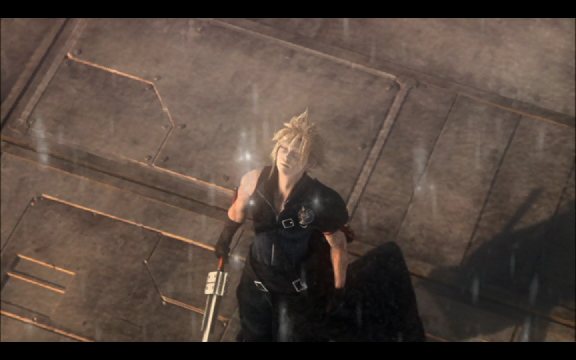 Essentially, the entire purpose of the movie is to absolve Cloud's guilt, which could only happen by going through this trial. He couldn't forget her nor forgive himself because he loved her, and hence felt her departure keenly, even more than Zack's. 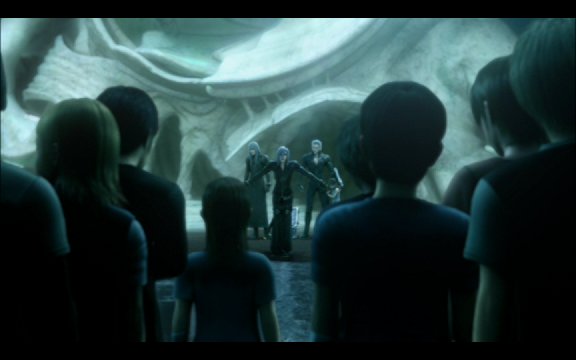 The fact that he ran from everyone, including Tifa, reaffirms that. 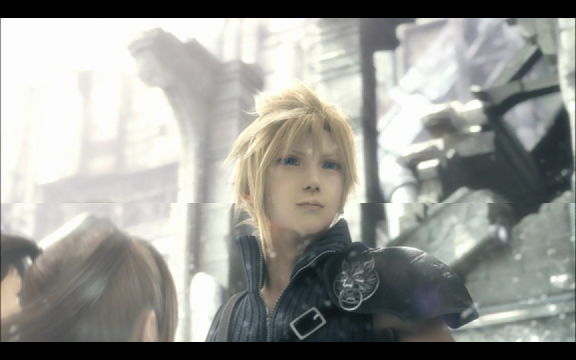 Apart from Aerith and Cloud, the second great relationship in this movie is Sephiroth and Cloud. They are each other's yin and yang, always in conflict but necessitating one another. AC may have wasted too much time on that weaksauce villain Kadaj, but it redeemed itself through the epic final battle with Sephiroth. I daresay that Cloud would probably be lost without the other man, because who else could ever possibly match him in skill, motivation, and mind? Especially in the battle-driven world of games, I'd say that Sephiroth was and always will be the ultimate pairing for Cloud. There's a reason why he's still the ultimate Final Fantasy villain, reappearing in so many of the other related franchises (aka Kingdom Hearts), and always in connection with Cloud. 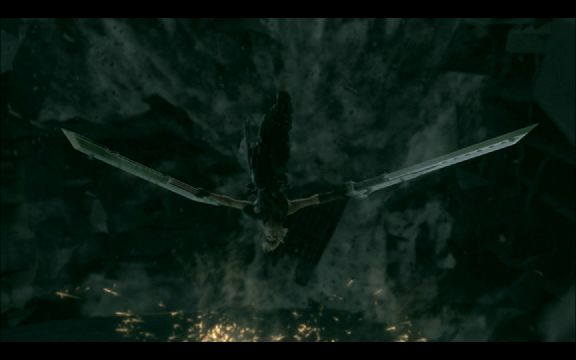 Their fight was also pretty amazing to watch, in contrast to some of the other, more boring battles of the movie. Just breathtaking, amazingly choreographed sequences, and an illustration of contrasts as we move from light to dark once Sephiroth appears and the battle begins. Which brings me to the point of just how LAME the "villains" in the movie are. 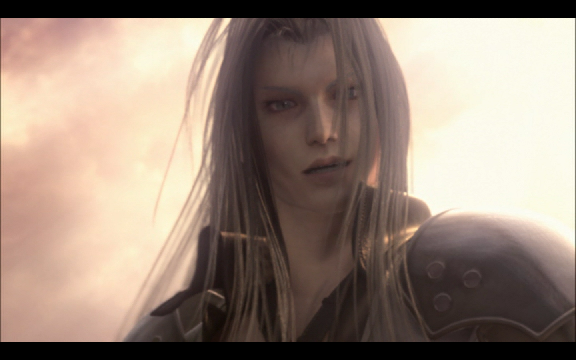 Kadaj was like an emo attempt at a young Sephiroth, only major fail because he had none of Seph's elegant, blood-freezing aura nor his flowy hair. His two sidekicks also served essentially no purpose except to ride motorcycles and try to bring down Cloud. 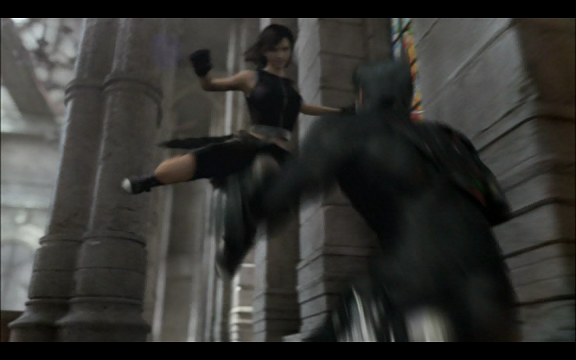 At least the Tifa fight against the short-haired guy was pretty decent. 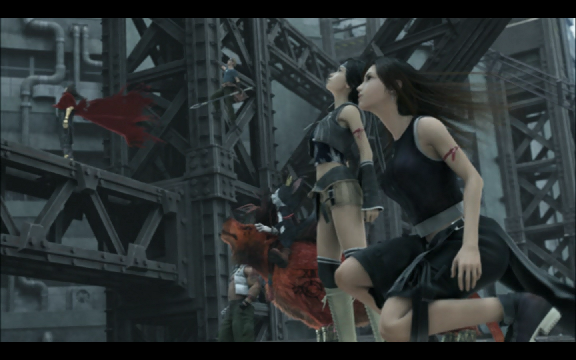 Moving on to Tifa - it's not that I dislike her, because I actually feel fairly sympathetic to the girl. She's clearly head over heels for a cold but cool guy who basically spends the whole movie ignoring her. And he probably wasn't all that much better in the game, although I'm sure she got in some quality time after Aerith died. The game just left such a bad taste in my mouth about her character that I've never been able to warm up since, no matter how cool and sympathy-inducing they make her. In fact, I have trouble reconciling the Tifa of the game (who was pretty much a blunt-headed, big-chested ditz) with the surprisingly vulnerable but resilient Tifa of the movie. She is plenty cool though, and I grudgingly admit probably Cloud's best chance at a normal, happy life. But I refuse to accept that as canon until they show me wedding pictures, because it'll always remain CloudxAerith :P (Kingdom Hearts also supports that, hurray!). I both love and hate that the director leaves things open, never showing any openly intimate moments between either of the girls and Cloud. It allows us to interpret for ourselves and pay attention to the subtle clues he drops. The fanservice part towards the end was also totally obvious but so satisfying. 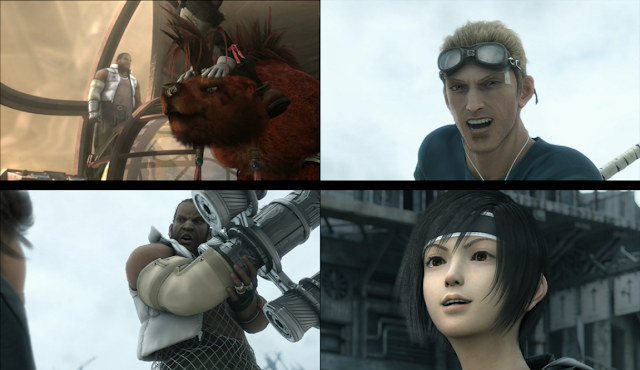 The reappearance of the whole gang, from Yuffie to Cat Sith (who looks just as hilariously random as he did in the game) was just great. 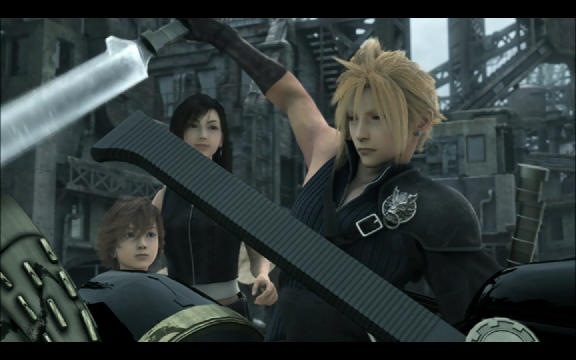 The coordination and connection between them all was just perfect, with a satisfying sense of completion once Cloud joined in to save the day. Another fanservice? Cloud's overdrives. Melded almost seamlessly with the plot, so again a success in presentation. It just felt nice to see everything animated in good graphics. Since FF7 probably won't be getting remade for PS3, this feels like a nice compromise to see our characters as they would be with today's technology. I'll qualify my raving so far by saying that some of the fight scenes did get a bit draggy, namely the Bahamut one and the motorcycle scenes. I enjoy pretty action scenes as much as anybody, but no need to spend 10 minutes on back-and-forth sword or wheel-clashing. AC was definitely stronger in its delivery of key emotional exchanges between characters and in exploring the inner thoughts of Cloud. It turned him human for me, and thus made him far more appealing than his rather aloof 3-D figure in the game. I'm sure plenty of fans were thrilled by all the fights though, and I'm happy that at least the story itself never dragged. Bonus awarded though for the AWESOME soundtrack, which preserved the original tracks but upped their quality and mood-eliciting feel through balanced use of orchestra and rock band (One Winged Angel has never sounded cooler). Further bonuses for the great voice-acting, the fitting rather than forced plot, and gorgeous attention to detail in every scene. If you haven't seen AC, forget your qualms about animated movies and just go watch it. But please make sure you understand the game plot, or else everything from the awesome cameos to nuanced, emotion-rich scenes will be completely lost.